Cafe MED - Enabling people to live well? Join us for short informal talks that bring together leading bio-science researchers and clinicians. More and more people are living with one or more long-term health conditions. We will discuss how health and social care services can best support them in times of budgetary constraint. 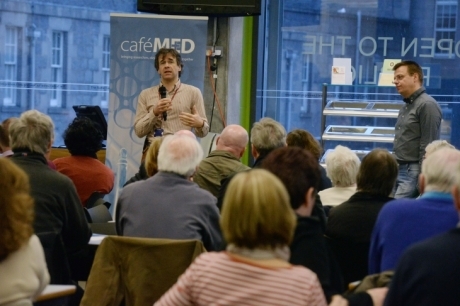 This is part of the Cafe Med series of events in Aberdeen. These events are free and no booking is required.